Host Hatidza is very nice, practical, helpful. I would especially recommend the teras appt. Great location, near shopping and restaurants. Basic apartment with kitchenette. Appreciated air conditioning and bright space. 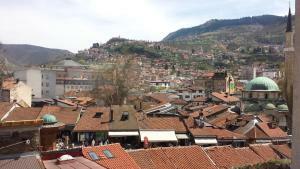 Location, location, location...in the heart of Sarajevo. Apartment itself was also spacious and well furnished. Location was good and central to the attractions. A lovely cosy apartment. Lokacija apartmana 🔝🔝 sami centar,apartman vrlo cist, kreveti udobni,domacin vrlo susretljiv i ljubazan...Sarajevo nas je odusevilo!! Great apartment! Hatidza, the host, was super nice and met me upon arrival to exchange the keys. The apartment is very spacious and nice. The location is just on the edge of Old Town and super convenient to see the nearby highlights of the city. Great location. In the center of the Bascarsija. The owner Hatidza is very friendly. We had the perfect stay at apartment Protin Sokak. The apartment was fresh and comfortable with its great location. Walking distance to almost everything and a breathtaking view from the balcony. It was also surprisingly quiet (despite its central area) and we were not once disturbed by the street life underneath. 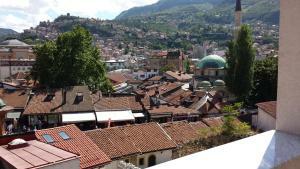 Without any doubts at all I will gladly recommend this place to anyone going to Sarajevo and I hope to come back again. The hosts were great in all ways, very welcoming and helpful. Hatidza has been a supe nice host, she was helping in finding the place and giving direction, to help us with parking and other recommendaiton for food and things to do in Sarajevo, The house was in the old town, clean, new and everything was easily reachable by foot, I will recommend and go back for sure! Lock in a great price for Apartments Protin Sokak – rated 9.7 by recent guests! Set in the vivid Bašćaršija area, packed with traditional restaurants and bars, Apartments Protin Sokak offers free WiFi access. Sebilj Fountain i just 150 feet away, while the popular Latin bridge is about 1,000 feet away. Each apartment provides a seating area and a flat-screen TV, There is a fully equipped kitchen fitted with dining area. Featuring a shower, private bathroom also comes with a bath or shower and a hairdryer. 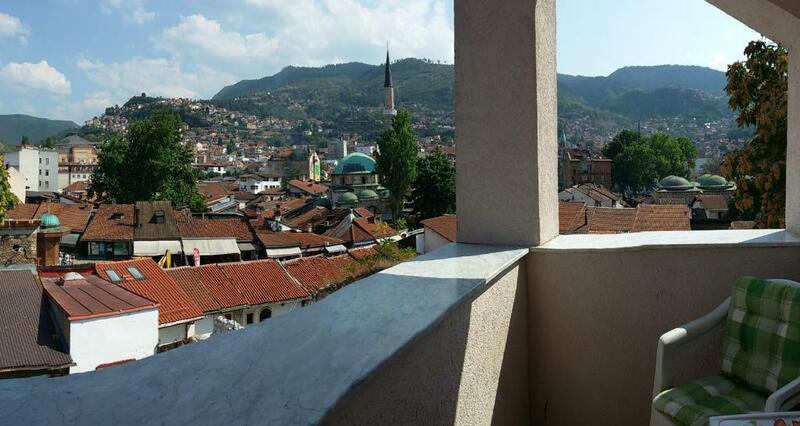 The apartments features views of the Old Town of Sarajevo including Gazi Husrev-beg Mosque. Guests can also visit the War Tunnel Museum, about 6.2 mi away. A grocery store and a variety of dining options can be found all around the Protin Sokak Apartments. The Main Bus Station and Railway Station are located 2.5 mi from the property. Sarajevo Airport is at a distance of 6.2 mi. This property is also rated for the best value in Sarajevo! Guests are getting more for their money when compared to other properties in this city. 뀐 Located in the real heart of Sarajevo, this property has an excellent location score of 10.0! When would you like to stay at Apartments Protin Sokak? This apartment provides a seating area and a flat-screen TV, There is a fully equipped kitchen fitted with dining area. Featuring a shower, private bathroom also comes with a bath or shower and a hairdryer. Featuring a terrace, this apartment is set on 2 levels. It provides a seating area and a flat-screen TV, There is a fully equipped kitchen fitted with dining area. Featuring a shower, private bathroom also comes with a bath or shower and a hairdryer. House Rules Apartments Protin Sokak takes special requests – add in the next step! Please inform Apartments Protin Sokak of your expected arrival time in advance. You can use the Special Requests box when booking, or contact the property directly using the contact details in your confirmation. 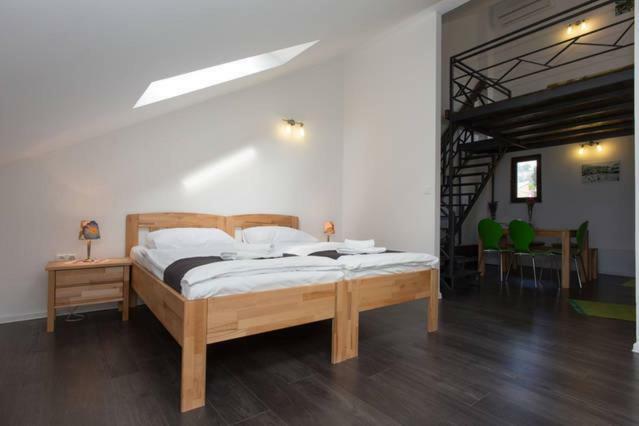 It's not a major downside at all, but visitors should be aware that, bathroom aside, the apartment is essentially one space, split up with a mezzanine sleeping area upstairs, and another sleeping area directly off the kitchen-diner downstairs. The location is absolutely terrific, with a wonderful view from the balcony. The host is incredibly warm and welcoming and happy to offer advice about the city in advance, and in person at check-in. Despite being bang in the old town, the apartment is also really peaceful in the evenings. The spaces are clean and comfortable. Beds are wooden and noisy. Kitchen window is looking to east and has no curtain. Therefore you have to wake up early. Blankets are short. Perfect location, kind host, lovely apartment. Bedroom faced the street and it was a bit noisy when windows were open. Que kitchen window should have a blind to block the sun in the morning. Hatidža is the best host ever: kind, careful and funny! The apartment is big, clean and comfortable... Bathroom is amazing with big shower. 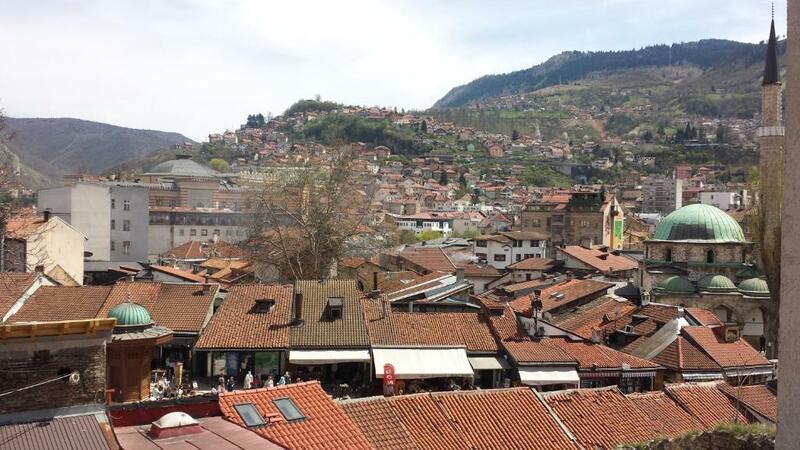 Perfect location to explore Sarajevo Old Town (Bascarsija). We can't wait to come back! 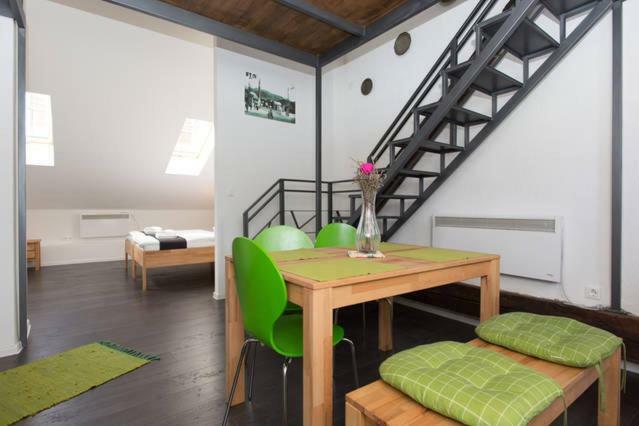 Great location right in the old town. 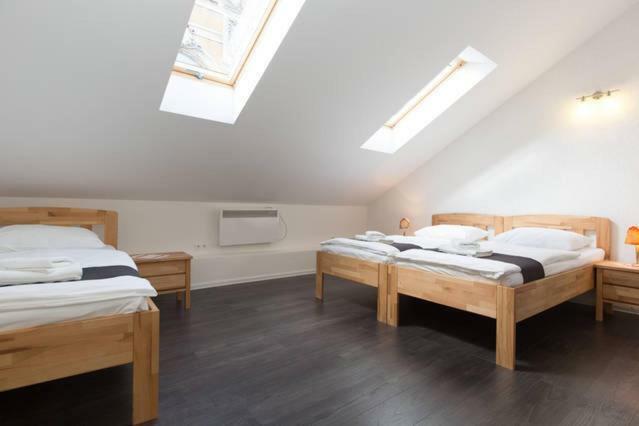 Comfortable flat with good shower, although the beds were a little hard. Well equipped. Everythings were perfect. We really feel confortable. Thanks for every things. Just please offer one iron and table for ironing cloths.